Montreal deathcore crew Despised Icon are dropping their first album in seven years in the middle of summer, but the band's new music video for Beast single "The Aftermath" was apparently filmed in the dead of winter. All the same, you can watch the band warm it up with some serious riffage right now. 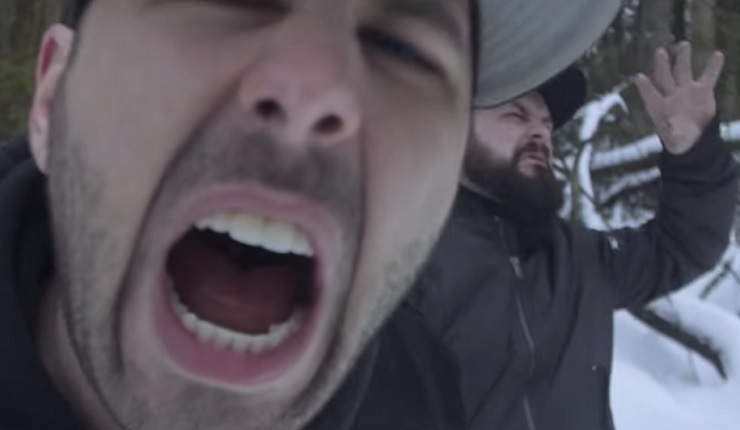 The vid finds the band tossing their gear onto a crisp, all-white snow bank and muddying up nature with some brutal metalcore. Considering the pristine conditions, bashed snares, choked and choppy detuned guitars, and vocalists Alex Erian and Steve Marois severely rumbly growls are all in plain view. By the time the requisite breakdown arrives at sunset, the band are lighting emergency flares to keep things interesting. You'll find "The Aftermath" below, while Beast will be unleashed July 22 via Nuclear Blast.